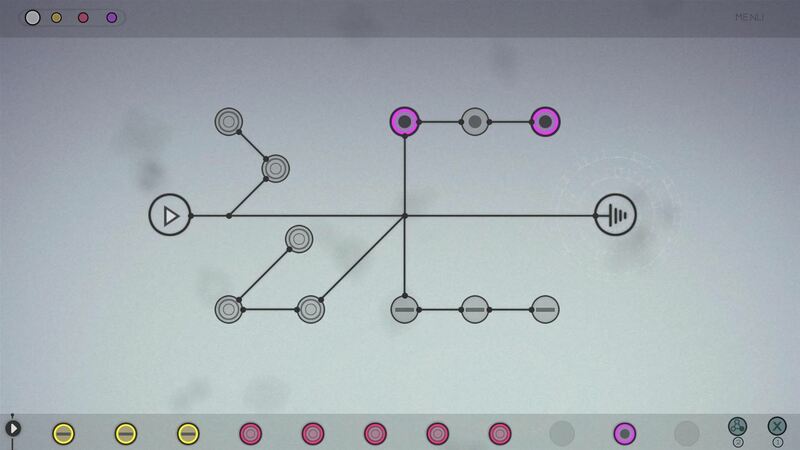 Circuits is one of those games that sounds very simple when it is explained, but is deceptively deep when you actually get around to playing it. Coming from Digital Tentacle, it has been available on Steam for almost five years already, but has finally made an appearance on the Xbox One. Has the wait been worth it, or should it have stayed on the PC? As I mentioned above, the synopsis for this game is simplicity itself. A tune is played, and your task is to recreate the tune using snippets of music that have to be placed in the correct location in a “circuit”. Assuming that you can do this correctly, the tune is replayed and then you can move to the next level. So far, so easy, right? 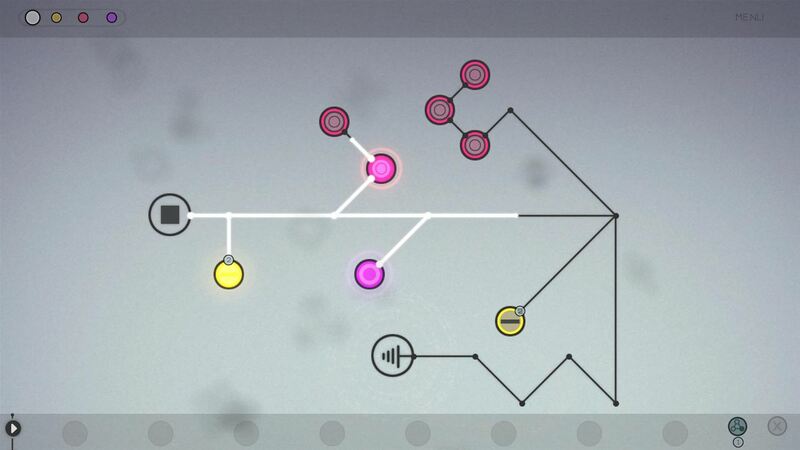 Well, like all the best puzzle games, Circuits starts out simple and then gets increasingly more complicated, with extra layers added to the tune and multiple fragments of sound needing to be manipulated and managed. Helpfully, the tune can be played and stopped as many times as you wish, allowing you to make quite sure that the fragment you are selecting perfectly matches the part of the tune you are putting it in to. Quite often the music fragments are similar, with slight differences in pitch and/or rhythm being the only discernible change. This is particularly noticeable on the piano and drum layers, and getting the right snippets in the right place can involve some trial and error. Luckily, each level has two hints that can be used. The first will highlight any fragments that are in the wrong place, whilst the second hint will put a snippet in its correct place for you. Each hint can only be used once per level though, so the one that highlights wrong notes is best used when you have the majority of the circuit completed, for instance. As the difficulty ramps up, layers of music are introduced that can be selected individually. Using the left and right bumper will move you from all layers to each layer individually, which gives an easier time of it when it comes to finding the right musical section. In this way, layers of music can be built up, from drums to keyboards and on to the vocals. Once you have completed each, pressing play should hopefully fill your ears with a delightful melody. If you have bits in the wrong place, it sounds like a bag of cats going through a mangle, and the game will helpfully tell you, at the end, that “something is wrong”. You can then try and correct your errors and replay the tune, with the reward being progression to the next level if you manage it. Graphically and Circuits is nothing special, as it’s just a graphical representation of a circuit with empty nodes in it. The sound however is very good indeed – as you would quite probably expect – with the tunes being perfectly judged, and each layer being complete in its own right. The tunes are catchy, and had my son jigging around the living room. If that isn’t a compliment to the sound design I don’t know what is! This is the totality of Circuits, but the beauty of the game is the depth that you can dive into the music, and the genuine thrill when you listen to a piece back and see success in recreating it flawlessly. It is possible to place the fragments in the grid on a single listen, without going into the layers if your ears are good enough. The way the music plays out is interesting too – as a line moves through the circuit it triggers different chunks of music at different times, building up the tune smoothly. When the game doesn’t want to be quite so friendly though, it will trigger two tune fragments at once, which makes the whole process a lot harder. By the time it gets to the later levels, and there’s a repeating drum bit with four different fragments, each of which is repeated, then piano and vocals over the top, it can all get a bit intense! 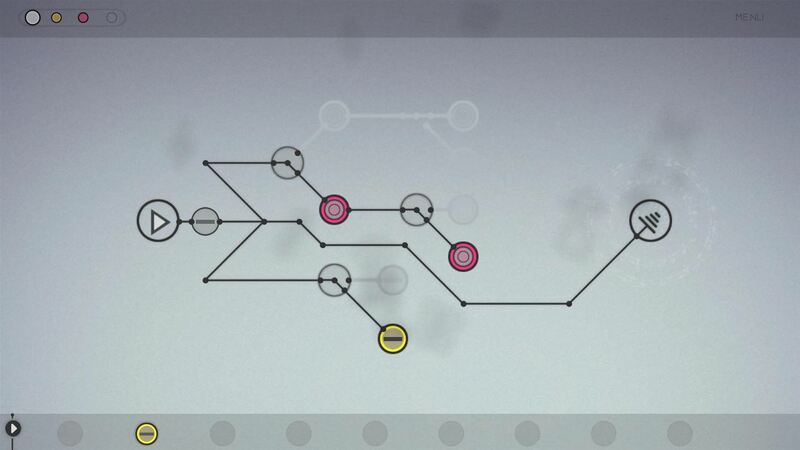 Circuits is not like any other puzzle game that I have ever played, but it is still one that is easy to recommended to anyone and everyone who is after something new. Later levels are so complicated - but never unfair.